Back in the day, getting your teeth straightened was relatively simple. For your 13th birthday your parents took you to the dentist, who cranked open your mouth and filled it with bits of old ‘train track’ strung together with wire ropes. For the next 3 years, you’d have aching teeth, sore inner cheeks, and bits of food stuck in the metal ‘train tracks’. But, after 3 years of pain and embarrassment, you’d emerge with beautifully straight teeth and it would all have been worth it. Braces aren’t like that anymore. These days, the problems are not so much with pain and embarrassment, as with choice. There seems to be a different kind of brace for almost every day of the month; certainly, there’s one to suit every lifestyle and budget. And you don’t have to be a teenager. You could be a pensioner and wear braces, that’s how easy it is to move teeth around. 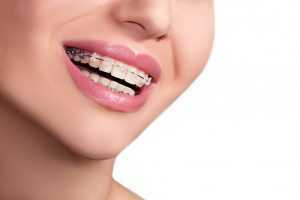 Let’s take a look at the various kinds of braces, so that you can visit a trusted practitioner, such as Enhance dental in Leeds, to find out more. These are the braces typically associated with teenagers. Brackets and wires apply pressure to the teeth to move them into straighter positions. Systems now include smaller tooth-coloured ceramic brackets and friction-free braces such as the Damon system. The same as above, except that these are fitted to the inside (back) of your teeth and are hidden from view. They can be difficult to get accustomed to but are a perfect way to straighten teeth without anyone noticing. They can correct severe cases of crowding or misalignment. Clear aligners that look like transparent gum shields. They are changed every 2 weeks. You can remove them to clean your teeth and eat. A cross between clear and metal braces, it relies on a removable aligner that moves the teeth by applying force to them over time. Often quicker than Invisalign, only one appliance is required, and it is more affordable. Tooth-coloured brackets and wires that move the front 6 teeth. Treatments are completed in as little as 6 months.